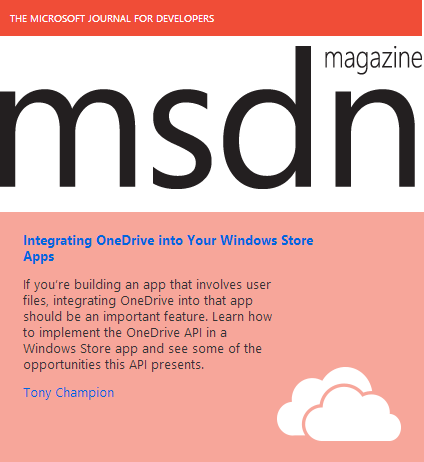 I have a new article that was just released in the August edition of MSDN magazine, Integrating OneDrive into your Windows Store Apps. The article takes a look at the OneDrive API and explains how to use that to access the photos, documents, and files that are on your user’s OneDrive accounts. This allows you to provide that always connected feeling to your users by tying your app into the user’s personal data.